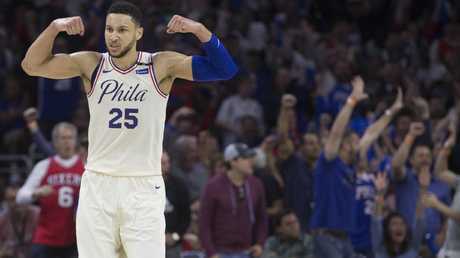 With Victoria's Mitch Creek signing a non-guaranteed deal with the Brooklyn Nets, a mammoth Australian contingent will feature in the upcoming NBA season - headlined by Philadelphia 76ers superstar Ben Simmons. Former NBA championship winner Dellavedova says the sky is the limit for his countrymen, with the season to commence next month. 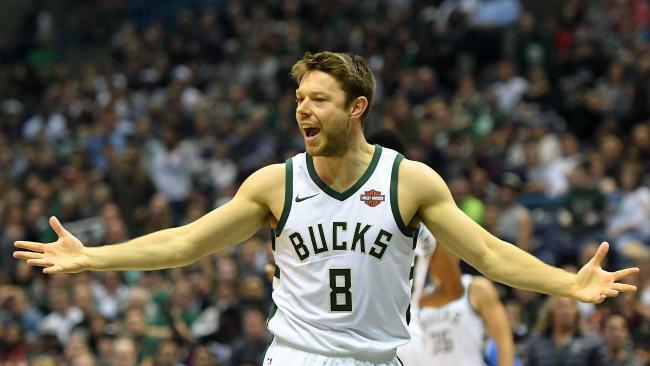 "It's an awesome time to be an Australian involved in basketball over here because there are so many exciting players coming through," Milwaukee Bucks guard Dellavedova said. "Obviously, Ben is the biggest name of them all but you've also got Jonah Bolden joining him at the Sixers, Thon (Maker) with me at Milwaukee and Dante (Exum) back healthy again." Ben Simmons was a rookie sensation with the Philadelphia 76ers. 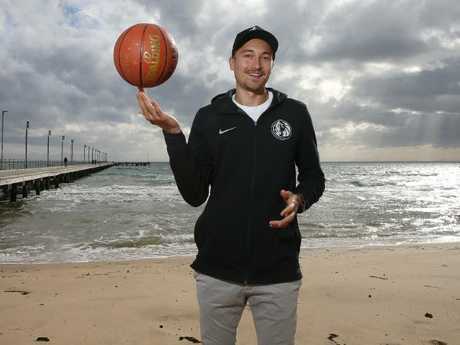 While fellow Australian Aron Baynes recently signed a two-year, $US11-million deal to remain at the Boston Celtics, Dellavedova is particularly excited with Melbourne's Ryan Broekhoff landing at the Dallas Mavericks from Europe. "I'm really excited for Ryan Broekhoff to get his chance with Dallas," Dellavedova said. "He's a guy that's good enough to play in the NBA and has been for a number of years." Dellavedova attributed the NBA invasion to the Australian Institute of Sport's basketball program. "I think a big reason for it is the AIS; the Centre of Excellence is an unbelievable facility," he said. "A lot of us have come through there and I think that's the foundation of my success and I would say a lot of other guys, too." Australians on NBA teams for the 2018/19 regular season: Ben Simmons, Jonah Bolden (Philadelphia 76ers); Aron Baynes (Boston Celtics); Joe Ingles, Dante Exum (Utah Jazz); Matthew Dellavedova, Thon Maker (Milwaukee Bucks); Ryan Broekhoff (Dallas Mavericks); Patty Mills (San Antonio Spurs); Mitch Creek (Brooklyn Nets); Deng Adel (Toronto Raptors).